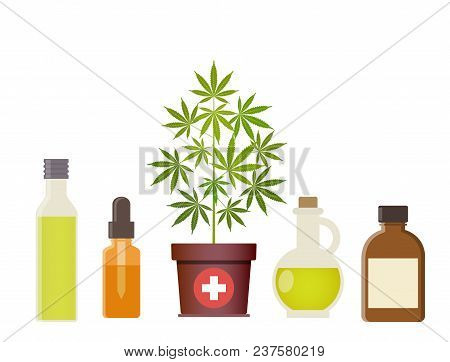 Poster of Marijuana Plant And Cannabis Oil. Medical Marijuana. Hemp Oil In A Glass Jar. Cbd Oil Hemp Products.